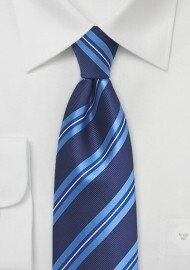 Are you a fan of blue neckties? 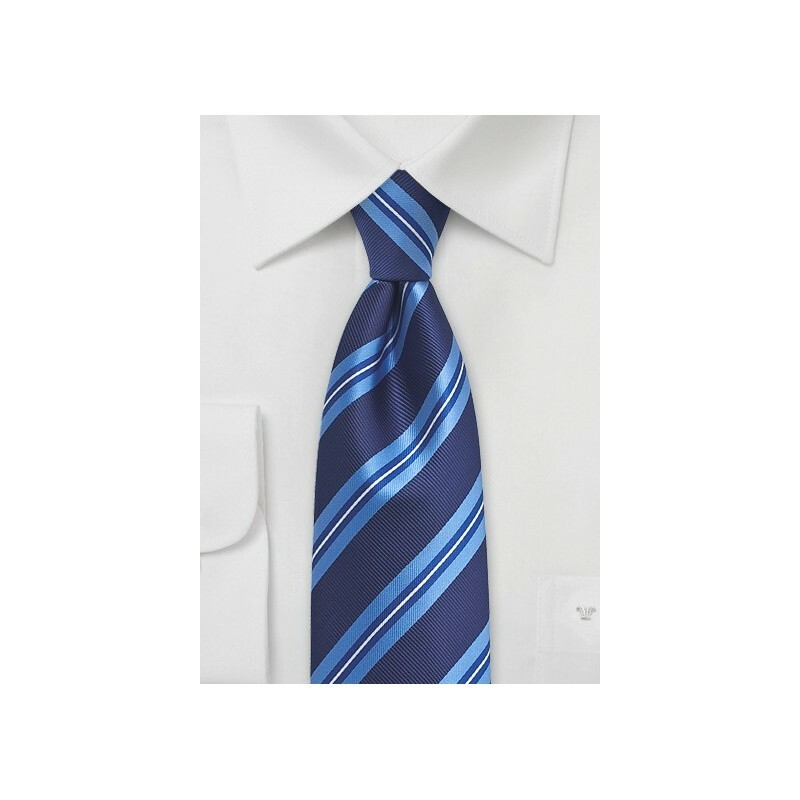 Then this modern repp-striped summer tie is a must-have piece for your collection. It matches well with any suit, from your favorite beige summer suit that you like to wear to weddings and other festivities, to you dark charcoal suit that is your go-to piece when dressing for a business meeting. Simply put, you need to own this tie! Made from microfiber.